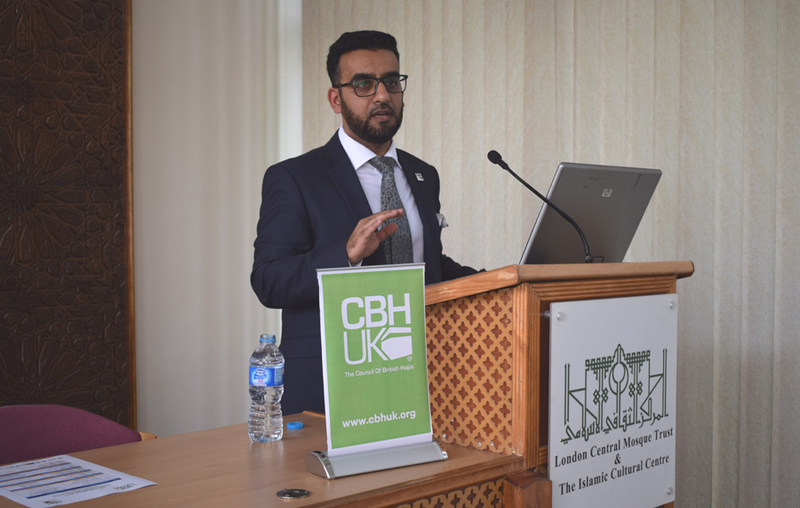 The Council of British Hajjis in collaboration with The Islamic Cultural Centre in London organised a One Day Training Seminar for British Muslims undertaking the Hajj Pilgrimage for the year 2017/1438 in late August. A sell out event which encompassed a variety of topics covering the rituals of Hajj as well as Health and Safety tips. Advice from the City of London Police on booking Hajj packages with Licensed Hajj Organisers and how not to fall victim to travel fraud was also given. 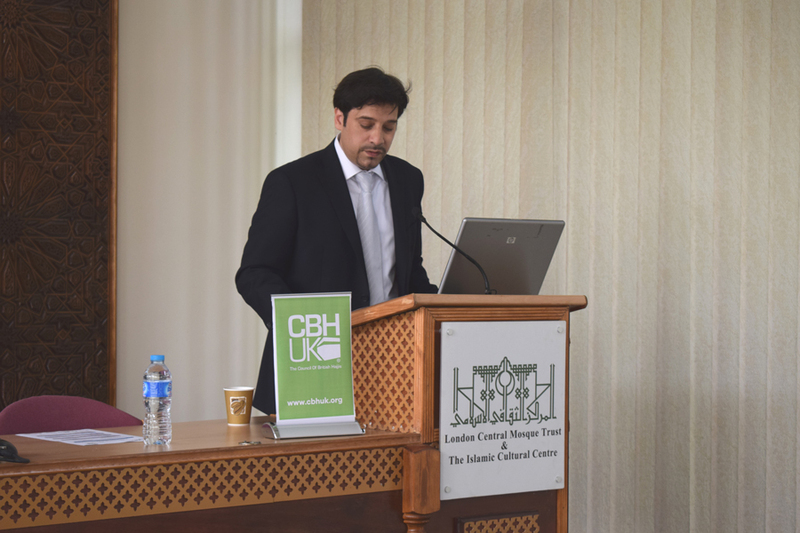 Ayaz Zuberi – Head of Public Relations at the Islamic Cultural Centre & London Central Mosque who conveyed the Director General Dr. Ahmad Al Dubayan’s best wishes and congratulations on all Muslims who are planning to undergo their obligatory pilgrim to the Holy Sites of Islam. Mr. Zuberi mentioned how Hajj is a journey which is not only a physically challenging but has a very spiritual component about it too and it was important people were aware of this ahead of their travels. Zuberi mentioned that like the previous Hajj, he was hopeful a team would be deployed to support British Muslim during Hajj once again this year. “As the faithful undertake this life defining journey, it is important they do so with the full knowledge of what the pilgrimage entails so that they derive maximum life changing experience from it. By working with our community partners and Hajj organisers we are able to deliver essential travel advice ahead of their departure”. “The key to Haj is keeping patience throughout the blessed journey and the responsibility of due diligence is on the pilgrims to check that the company they have booked with is Ministry of Haj & Umrah Approved (Licensed Hajj Organisers) and ATOL protected which will allow them to hold that company accountable if there were any problems”. Attendees to the Hajj Seminar were vaccinated by doctors from CBHUK against Meningitis ACWY. Dr Haseeb Valli gave practical health advice to pilgrims from selecting good footwear to protecting oneself from heatstroke. Free health checks were also on offer by the Muslim Doctors Association (MDA). Dr Ahmad Moolla (MDA Hajj Health Lead), shared his research experience and the practical implications this has for hajjis, particularly around avoiding infection, optimising chronic disease management and preventing illness during Hajj. Shaykh Yunus Dudhwala (Head Chaplain at Barts Hospitals NHS Trust, London) delivered an extensive training on the ritual of Hajjis. 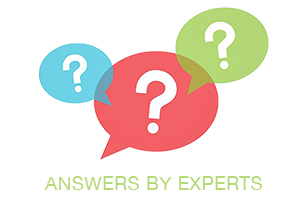 The National Zakat Foundation delivered advice on missed Zakat. 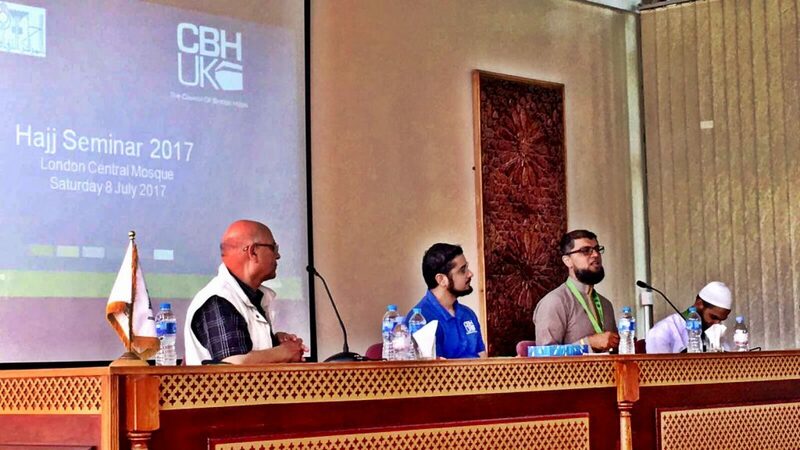 CBHUK is the leading UK Hajj & Umrah Charity working for the welfare of British pilgrims. Iqbal Patel is the Managing Director at AL Hijaz Tours and Travel Ltd (London). Hamdy El-Sawy runs El-Sawy Travel (London) along with his sons and is regarded as one of the longest running Hajj & Umrah Tour Operators in the UK. Both are members of the Licensed Hajj Organisers a trade association comprising of Ministry of Haj & Umrah Licensed & ATOL Approved operators.